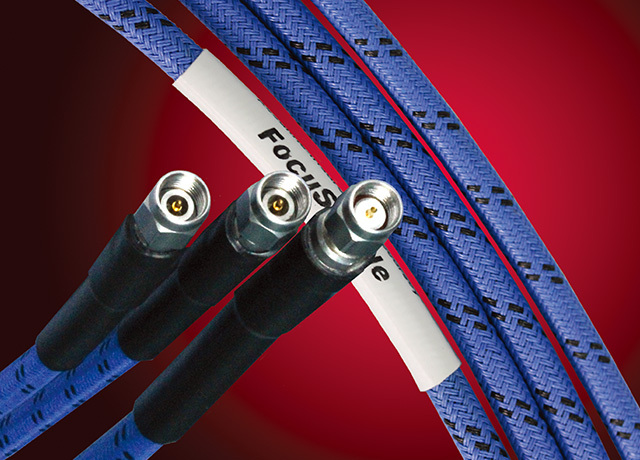 Acculine is the millimeter wave testing cable components featuring high-performance, high-precision, fixed amplitude and stable phase which are especially developed by Focusimple for network analyzer and other professional applications. Its maximum operating frequency can reach up to 50GHz. The product adopts the most advanced international cable structure and armor program. The cable is composed of different multi-function layers, conducting special control over the material of each functional layer and process. The composite structural layer design ensures the stability and the mechanical life cycle of the product’s electrical performance. The armor is additionally equipped with an original layer for twist resistance. The outer layer is protected by high-strength PTFE weaving, resistant to wear and high temperature, with nice appearance. Acculine testing cable features stable performance and long life cycle, which can significantly improve customers’ testing precision and reduce testing cost.